It’s a simple concoction of gin and sweetened lime juice which helped sailors from ailment called “Scury” during 1800s on their epic voyages. 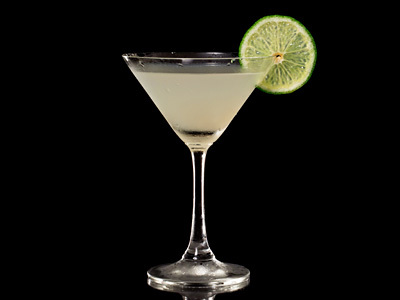 The classic gimlet recipe is a mix of 4 parts gin and 1 part lime cordial with a garnish of lime wedge. However, this mixed drink is bit different, firstly it requires shaking and secondly it uses additional lime juice to give a bit tart surprise. Take few ice cubes in the mixing glass and pour all ingredients except lime wedge in it. Shake and strain into chilled cocktail glass. Rest lime wedge on the rim as garnish and serve. Make basil gimlet by muddling 5-6 basil leaves in shaker before adding ice in the shaker.